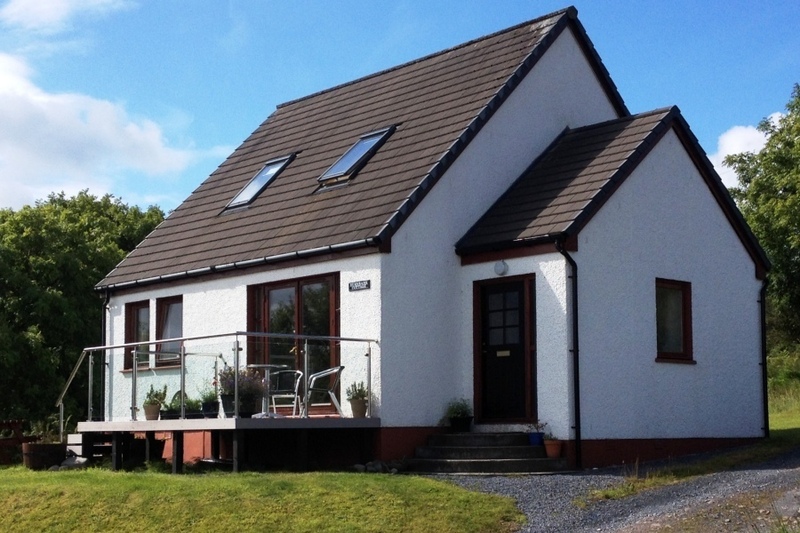 Burnbank is a comfortable self-catering holiday cottage situated in a quiet position above the village of Craighouse. The cottage is dog-friendly and provides accommodation for four people (five at a pinch). It is an ideal base for a holiday on the lovely island of Jura. 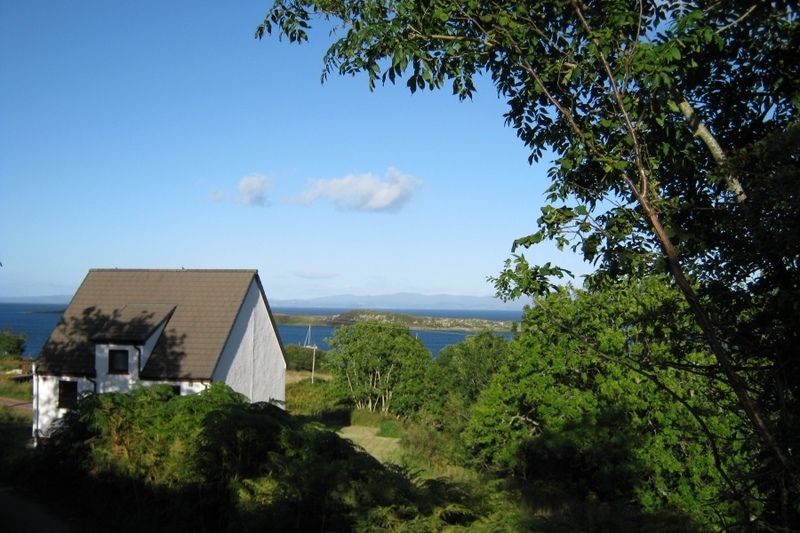 From the front of the house there are uninterrupted views across Small Isles Bay to the Scottish mainland. Behind it stretch thousands of acres of hills and moorland over which you are free to roam. The location is peaceful and private, and yet Burnbank is only a five-minute walk from the facilities of Craighouse, including the licensed village shop and post office, the convivial Jura Hotel, and the world-famous Jura Distillery. ‘Jura is remote, scarcely populated and has an ineffable grandeur indifferent to the demands of tourism. With one road, no street lamps and over 5,000 deer, the sound of silence is everything’.